Lazio vs Juventus predictions ahead of this Serie A clash on Sunday. Will the champions pick up three points in this vital trip to the Italian capital? Read on for our match preview and free betting tips. Sunday’s big game sees Juventus heading to Rome, as they look to get one over Lazio at the Stadio Olimpico. The visitors continued their unbeaten start to the Serie A campaign with a comfortable 3-0 win over Chievo last time out. While this trip is much tougher than hosting the league’s bottom side, the Old Lady have hardly been tested in the league this season. They’re cruising towards the title yet again, and another three points this weekend would push them even further towards glory. Lazio started the first half of the season with defeats against Napoli and Juventus, and they’re on course to do the same again. They dropped out of the top four last weekend, slipping down to sixth after another defeat to Napoli. They were pulled apart in that clash, continuing their rotten record when it comes to facing the big sides. They’re set for a huge test on Sunday night, as they come up against the runaway leaders. The visitors are breaking all kinds of records this term, after 20 matches without defeat. Juventus have found the back of the net at least once in all of their 28 games played in all competitions this season; only in 1957/58 have they had a longer such run from the start of a campaign, when they have scored at least one goal in all of their first 29 games under Ljubisa Brocic. That’s down to their impressive array of attacking talent, which is backed up by one of Europe’s best defences. Juventus are unbeaten in their last 22 matches away from home in Serie A (W18 D4); only between September 2011 and November 2012 (25) have they had a better run away from home. They come here having won 10 of their last 11 league matches, while they’ve won all but one of their away matches in the league this season. They’ve won their last five clashes with Lazio away from Turin, which makes us think that the Old Lady will land another three points. Lazio have lost eight of their last nine Serie A encounters against teams currently in the top four positions of the table, drawing the other against AC Milan, after trailing for most of that match. The hosts are struggling overall, they have won just two of their last nine games in Serie A (D5 L2), after they managed seven wins in their previous nine in the competition (L2). With that in mind, we’re backing Juve to claim the points, and continue their dominance over Lazio. 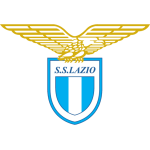 Lazio have scored just one goal in their last nine games against Juventus at the Olimpico in Serie A (D1, L8), at least six goals fewer than they have netted against any other team they have faced at least five times in the same period in the competition. Juventus and Lazio have scored the joint-most goals from corners in Serie A this season (six for both, alongside Atalanta). Juventus striker Paulo Dybala has scored his joint-most goals in Serie A against Lazio (seven goals), including three in his last four appearances vs Biancocelesti at the Olimpico. Juventus’ Paulo Dybala has made 75 touches per 90 minutes on average in Serie A this season, his best tally in a season: in his first campaign with Juventus he made 67 per 90 and in his first with Palermo he managed just 49 per 90 minutes.